Owning valuable property is a huge financial asset. Besides the low-risk investment, the value of a home can open you up to other financial options like home equity loans and lines of credit. But, keep in mind: just like a renovation can increase the value of your home, there are factors that can decrease house value. Understanding the factors that affect property value, both positively and negatively, before you buy a home can help you make a well-thought-out investment. Making these smart investments can help set you up for future financial success. Thinking about buying a home? Looking to invest in a property to flip? 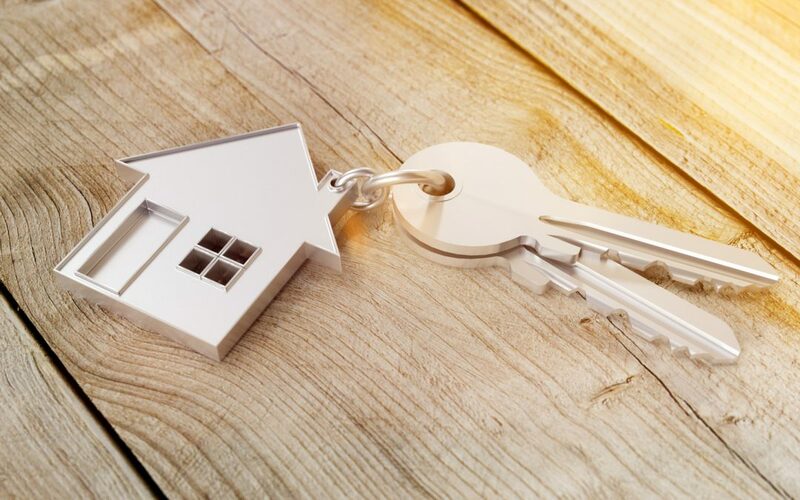 We’ve compiled a list of top five factors that affect property value, both good and bad, to help you make the most of your investment. What Makes a Property Value Decrease? The biggest things that affect home value are location, the age of the home, square footage, lot size, and the number of rooms. Depending on a combination of these factors, they can either decrease or increase the value of your home. Below, we’ve condensed some of the more unique elements that can influence property value. Cutting down some of those trees expand your deck? You might want to think twice. A mature tree can have an appraisal value of anywhere between one and ten thousand dollars. This is based on their visual value as well as their energy efficiency. Trees provide shade from the hot sun and protection from wind, which may contribute to lower energy costs overall. When looking to invest in a property, whether it be a lot, a turnkey, or a renovation home, keep in mind the value of mature trees. Power lines are essential, but they’re an eyesore. Combined with their non-ionizing radiation emissions, they can cause the values of homes in close proximity to drop. Non-ionizing radiation, although relatively safe, might be associated with an increased risk of certain kinds of cancers. However, the results presented in the scientific body of literature are conflicting. Regardless of the potential risk, buying a home away from powerlines is a smart investment. Being close to plazas, supermarkets, and downtown areas has always been a good predictor of house value. Ease of access to these amenities means less gas, less hassle, and less time to get around. Time is money and the appraisals know it. Funnily enough, new research shows that homes that are located near stores like Trader Joe’s, Whole Foods, and Starbucks are of considerably more value than homes that are not. Just like the value of the homes in a neighborhood impact your home’s value, so do the people in them. Your neighbors determine the safety, comfortability, and status of the neighborhood. Neighbors who engage in risky activities, are noisy, or are inconsiderate may bring down the value of your home. On the bright side, neighbors who invest in their property to increase the value of their home will also increase yours. A huge predictor of a house valuation is the results of an inspection report. Depending on what a home inspection comes back with, the inspection report can either drastically increase or decrease a house valuation. This is because a bad inspection report signals issues with the house that may cost a chunk of money, be unsafe, or cause more issues in the future. When buying a home, spending money on an inspection report is essential to making a smart investment. Additionally, mortgage lenders will often require an inspection prior to lending out money. Mold, besides being expensive to treat, is a serious health risk. On top of that, mold is often hard to identify in a home on your own. It can live inside walls, under floorboards, and in crawl spaces. If a home inspection identifies mold, it can bring down the value of the home significantly. The electrical load needed to power modern appliances and electronics can be a lot on a home’s wiring system. If the electrical system is faulty, it can pose a serious risk for homeowners. It can also be really expensive to fix. Faulty or old roofing is a risk factor for water damage and high electricity costs. Although a roof replacement will last a long time, the upfront expense can be daunting. A home inspection can help you identify the quality of a roof and give you an accurate estimate of the value of the home. The first step in finding a quality home inspector is knowing the standards to keep in mind. One of the hallmarks of a good home inspector is being ASHI certified. ASHI is the professional association for home inspectors. They set a standard for home inspectors for quality while also providing education. This ensures customers that an ASHI certified home inspector is high-quality and reputable. You can also get referrals from family or friends that have had experience working with home inspectors. With all the factors that affect property value, it can be a time-consuming process to research each home you’re interested in. However, getting an accurate valuation of a home prior to investing your hard earned money is super important. This means researching the area, running a fine-tooth comb over the property details, and scheduling a home inspection. An ASHI-certified home inspector can identify hidden issues with a home to help you make the smartest investment possible. Need a home inspection for your prospective Northeast Ohio property? Class Home Inspection can help. We travel to your property on your schedule. Schedule an appointment with Class Home Inspection’s ASHI Associate, Scott Schreiber, today!